Strategic games require players to use the logic ability for my reasoning so that I can take advantage of my strengths to attack the enemy’s weaknesses to win. Meanwhile, roleplaying games have a thrilling storyline, allowing players to play the role of protagonists, discover exciting stories. What if both of these genres coexist in a game? Sins Raid is the answer. Sins Raid is a unique combination of immersive and tactical genre, released completely by Cube Magic Interactive. This game promises to bring many exciting things for you. Sins Raid takes place in the land of the gods. It has a peaceful setting and is a place chosen by the gods as a place to cultivate strength. Suddenly one day, the dark forces rebelled, and they showed clearly the ploy to invade here. Face to the hard situation; the heroes were sent by the gods to suppress the rebellion. Destroy the monsters and their factions, to protect the life and peace of this land. Begin your journey as the Hero of Light! 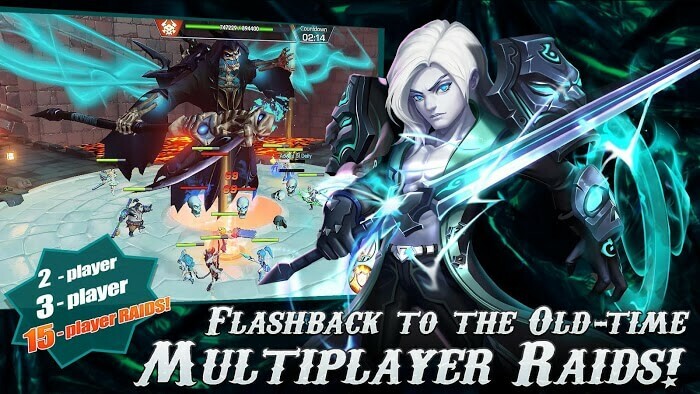 About the gameplay, the Sins Raid is similar to MOBA games like League of Legend. You will use the character to search for bosses that appear in the map and defeat them. The system provides you with a control panel, including a virtual button for you to navigate the character, along with the skills that the character has, located in the right corner of the screen. You just need to touch the screen to perform an attack on the enemy. 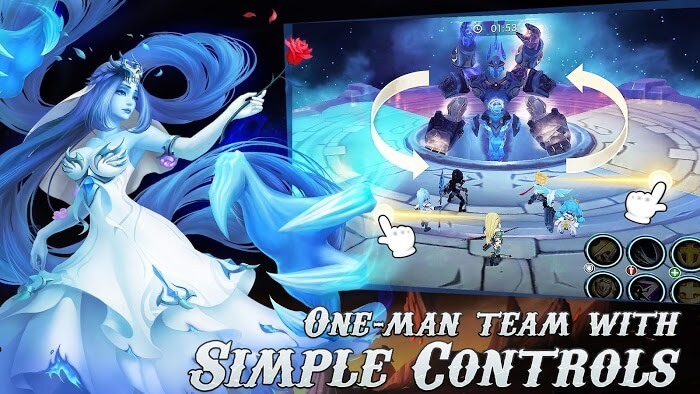 However, there are also differences with the MOBA genre, instead of controlling only one character, the Sins Raid allows you to control three characters at once. The system offers you many game modes. You can play the storyline, play with your friends in RPG mode, or turn base as you like. In it, if you play the plot, the system will guide you according to the processes available. You will meet and fight against aggressive monsters and powerful bosses. Their forces become more and more powerful. Therefore, you must not only have excellent combat skills but also pay attention to the guidance of the system, attack the boss’s weakness to win. 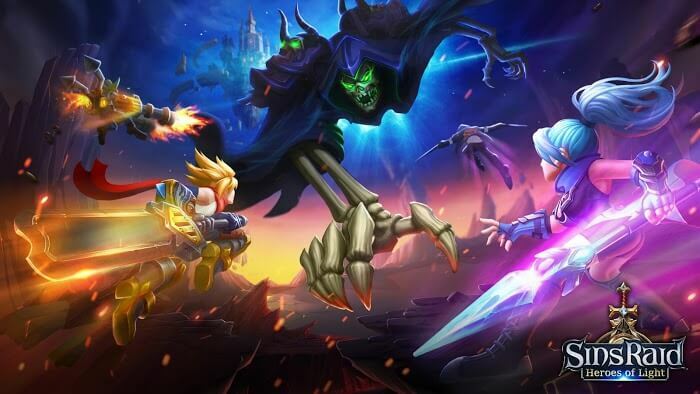 Not only the Sins Raid gameplay has the same features as MOBA game League of Legend but the graphics are similar. However, Sins Raid has a lot of maps and areas for players to explore. Each place has beautiful designs, is built very truthfully and has bright colors, more vivid than LoL. Besides, the designer also focuses on the light effects of the character, whenever they use the skill. With the presence of this effect, players will enjoy the battle screen also has eyes. 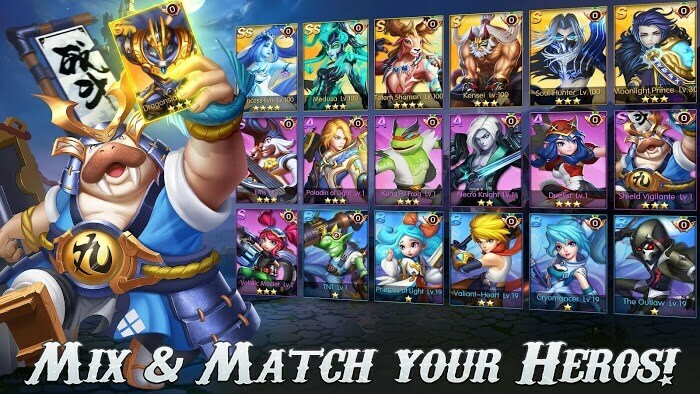 In addition to the lively graphics system, Sins Raid has many other features such as guild, the team with other players, boss hunting, etc. for players to explore. Download this game and find out for yourself.